Here at Rockford, we’ve won homebuilding awards, we’ve been featured in publications for our great work and we even have a few accreditations to increase our expertise. The greatest reward of all though, is seeing how happy our homebuyers are on possession day. Happy homeowners are what make each day of work worth it, and they are the reason we love to do what we do. “I am a retired nurse, whose husband passed away less than two years ago. I found that my current home was too large and my yard too rugged to manage. I spent several months searching for a villa condo in my area, but unfortunately they were either unsuitable, required renovating, or not cost efficient. I was fortunate to have responded to a phone number posted on a Rockford Development sign, advertising new bungalow villa townhouses to be built three blocks from my existing home. The home prices were affordable and I love the area. My journey from my initial contact to the completion of my beautiful, Rockford built, Jewel Box Home, has been a wonderful experience. The material selections offered were of high quality and very tasteful. The color palettes were very pleasing to the most discriminating purchaser. The Sales Manager, Efie Gicas, is knowledgeable, efficient and most accommodating but it is her kindness and supportive demeanour that has impressed me the most. Every Rockford staff member that I dealt with was extremely facilitating, availing themselves to listen and always taking my needs into consideration. I was able to make all the necessary modifications suitable to my lifestyle. My possession date was on time. 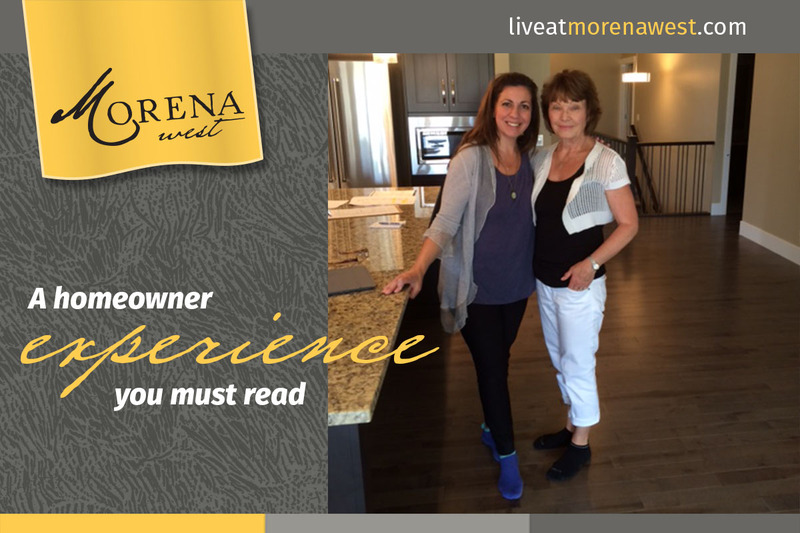 Visit the Morena West sales centre, and maybe you will find the perfect home for you too!